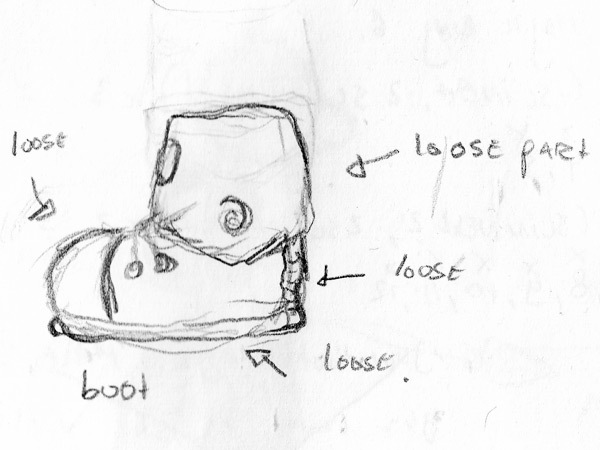 When I’d finished the first boot I rushed to get the second done, so I could write this post. Aren’t they cute! 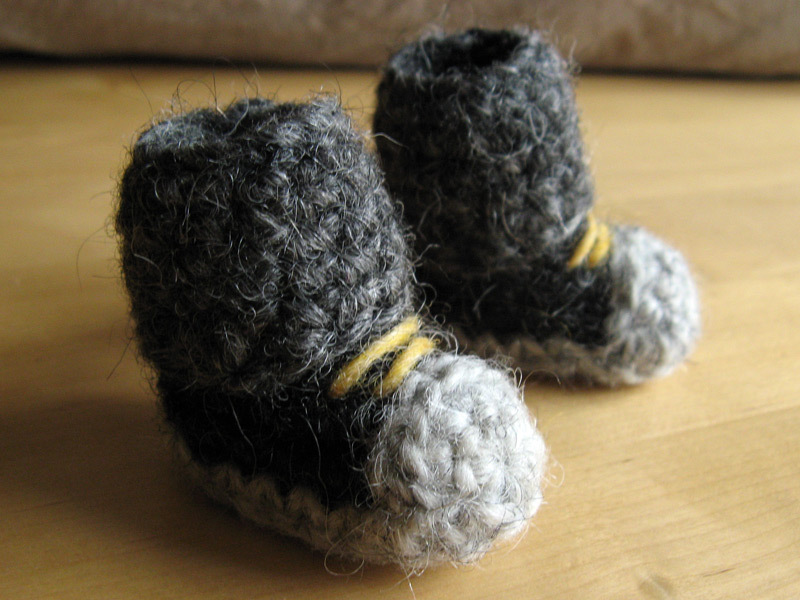 I think I’m going to crochet just boots for the rest of my life, hehe. 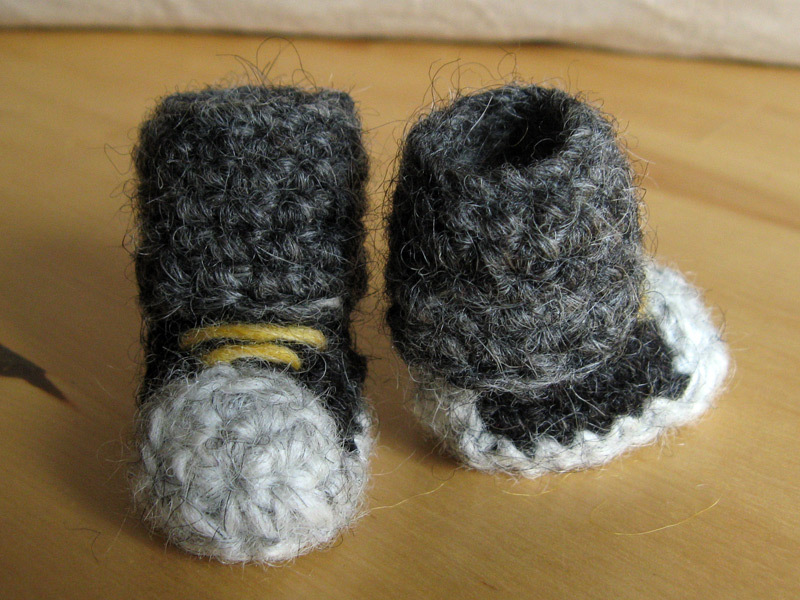 They are 5 cm / 2 inch small. These Starfox boots are made out of 5 pieces: the sole, the boot, the nose tip, the heel and the boot neck. Anyway, if the rest of Starfox will have the same kind of ‘cuteness’, I’ll be very content! For now the boots and legs are finished.